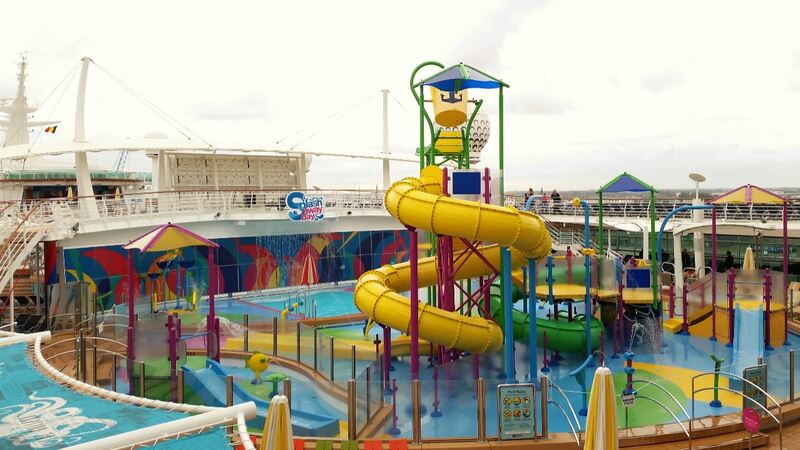 After a multi-million dollar upgrade Independence of the Seas offers an array of stunning new features to delight kids and adults alike, making her now more than ever the “ultimate family ship”. In March 2018 Royal Caribbean International announced it was amping up vacation adventures by reimagining its fleet with a $900 million investment. The Royal Amplified program spans 10 ships and CoCoCay, Royal Caribbean’s private island in the Bahamas, and touches every aspect of the guest experience by introducing a wide range of innovative features and bold new experiences. 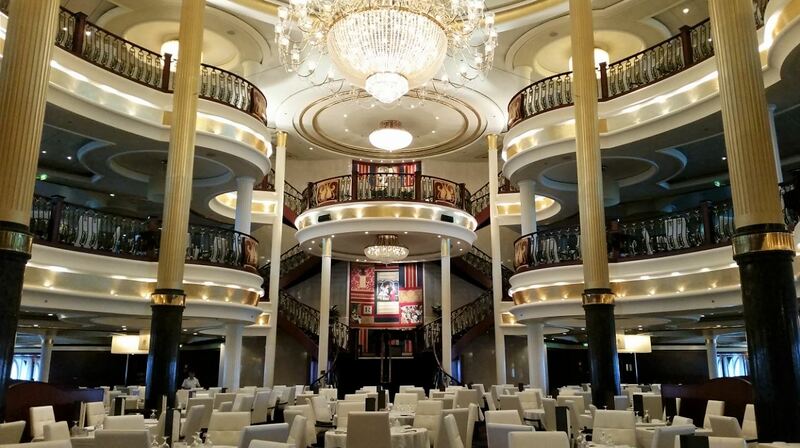 Earlier this year Independence of the Seas was the first ship in the Royal Amplified program to reveal her multimillion-dollar upgrades. 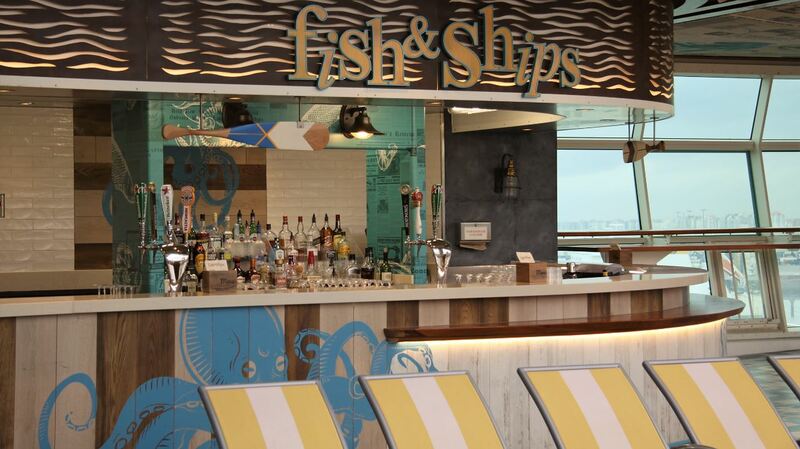 As Independence is getting ready to wave goodbye to Europe and cross the pond to Fort Lauderdale, we stepped aboard to discover some of her new features. 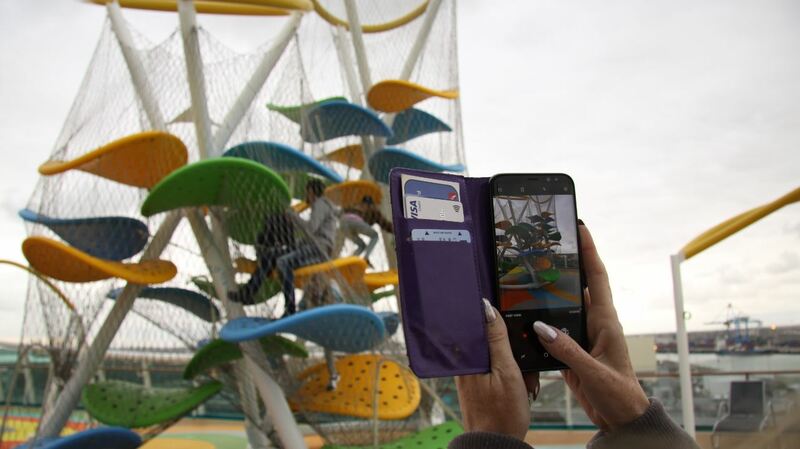 – Sky Pad, the bright yellow and orange globe on the Sports Deck houses a virtual reality bungee trampoline which takes guests on a new and exciting experience. Those who’d rather bounce in the real world can of course do so without the VR-glasses. – The Perfect Storm, located next to the Sky Pad and the FlowRider and features a duo of racing waterslides called Cyclone and Typhoon. 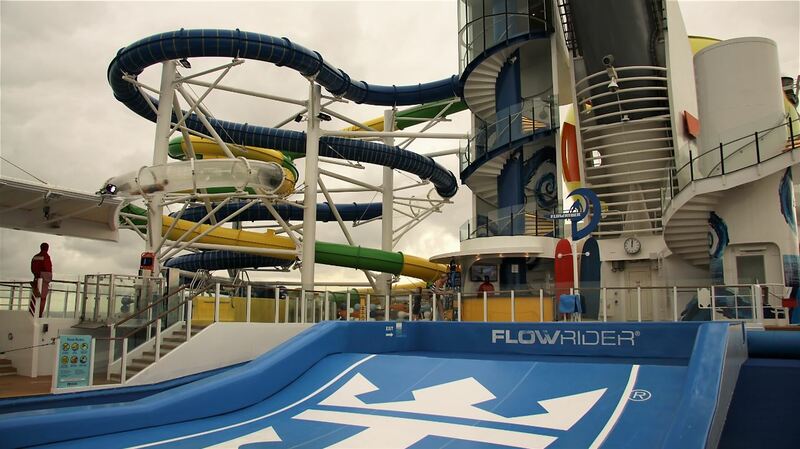 – Splashaway Bay the interactive aqua park is now bigger and better offering young cruisers more waterfun than ever before. – Battle for Planet Z, during the day the ship’s multi purpose Studio B – ice rink, nightclub,… – is transformed into a glow-in-the-dark laser tag experience. – Puzzle Break, a new escape room experience where competitors can put their minds to the test, working together to find hidden clues and solve a series of high-tech riddles to unravel a mystery. With only 60 minutes of play, the excitement builds with each tick of the clock. Independence’s main dining room received new carpets and furniture giving the 3-floor restaurant a more contempory look. 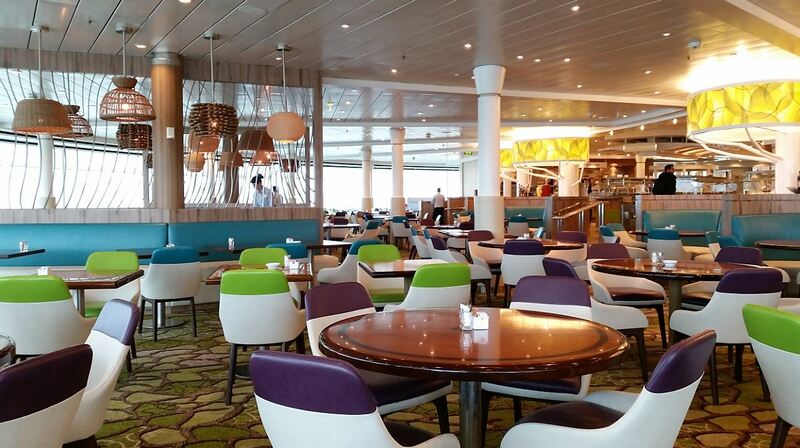 The ship’s self serve restaurant – Windjammer Marketplace – also received a completely new interior and now has a modern, bright and open look. Independence of the Seas also received new dining venues such as Fish and Ships – a poolside seafood spot with freshly battered fish and chips and other favorites, Playmakers Sports Bar & Arcade where sports fans can enjoy all the biggest live sporting events over ice-cold beers, wings, sliders and more, Izumi Hibachi & Sushi an exotic Asian-inspired dining experience where you can feast on fresh sushi and experience the skilled chefs cooking tableside on teppanyaki grills, and Sugar Beach, a wondrous world of delicious and sweet delights on the Royal Promenade. 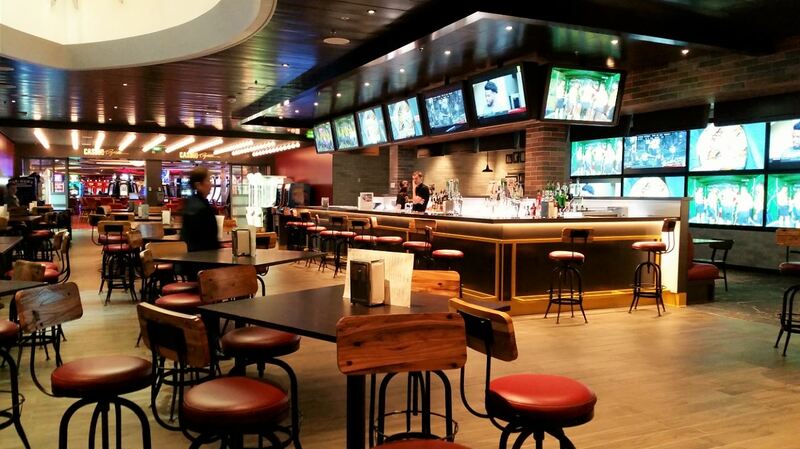 Part from her new dining and entertainment options and beautiful new lounges Independence of the Seas also received new staterooms, adding that extra bit of extraordinary. The new Panoramic Oceanview staterooms offer stunning wall-to-wall, floor-to-ceiling views, from where guests can soak up the feeling of standing on the bridge of the ship and watching the sunset over the coastline. And this from the privacy of their own stateroom. 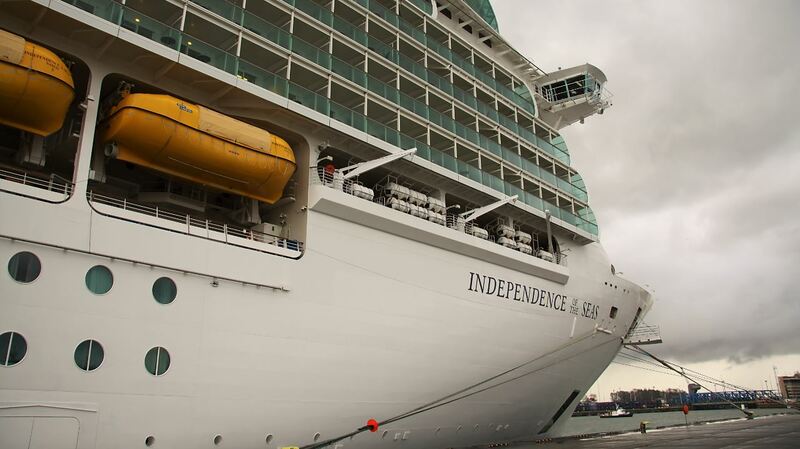 The amplified Independence of the Seas spans 15 decks, encompasses 154,407 gross registered tons, carries 3,858 guests at double occupancy and features 1,929 staterooms. Starting November 2018 Independence sails 4- to 5-night Caribbean cruises from Ft. Lauderdale, FL. Was this the ship that the crane fell on today? 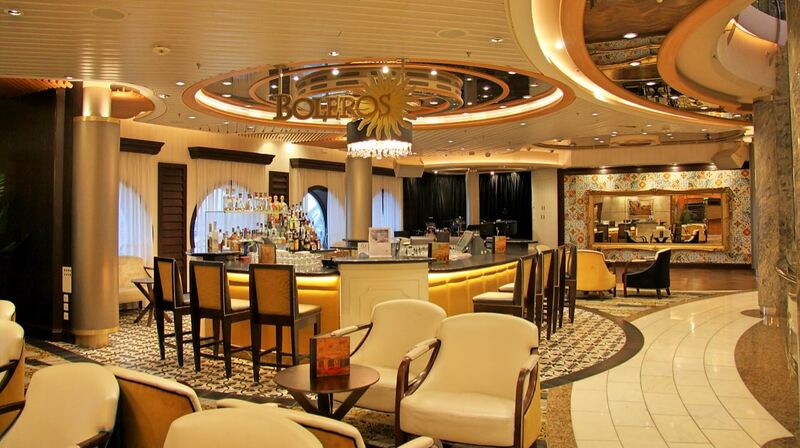 Hi Jason, no, the crane fell on Oasis of the Seas while the ship is in drydock in Freeport, Bahamas.